Taking steps to care for our people and the future. • To authorize the sale of select WorldVenture properties, including the Littleton office property, to infuse proceeds into the DBPP distributions. WorldVenture’s DBPP was created in 1965 and served as the primary retirement benefit of the mission for 42 years. In 2007, the board took action to freeze the DBPP for new participants and enrolled all current and future staff into a Defined Contribution Pension Plan via a 403b plan with Envoy Financial. With no new income in the DBPP, the market downturn from 2008 to 2013, and actuarial data that did not support the assumptions of 2007, WorldVenture leadership sought various solutions to address the only long-term financial obligation of the mission in such a way as to honor the people vested in the DBPP and to protect the mission of WorldVenture. Through benefit reductions, resource infusions, and existing plan termination, the board and the Global Operations team believe this course of action best aligns our stewardship needs with our WorldVenture ethos. 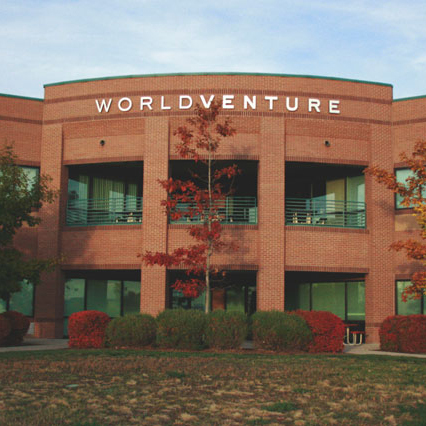 Some have asked, “Why is WorldVenture selling its office facility?” Two answers come to mind. • First, the board of directors and the Global Operations team embrace our stewardship responsibilities of the DBPP as a sacred trust for the benefit of our former and current vested staff and international workers. Failure to act now would jeopardize the DBPP and infusing resources into that plan is a substantial expression of the seriousness with which we embrace our stewardship. • Second, sacrificial giving and rallying to great need is part of the WorldVenture legacy and a deeply held value in our community. It is who we are. Many years ago, it was our practice to pool funds for all benefits, including salaries, medical insurance, retirement funds, work funds, and shelter funds. Today, the legacy of this value is still seen in elements of support packages. That we choose to serve at real cost to ourselves speaks to our choice to follow in the way of Jesus, just as it is a part of our WorldVenture DNA. Others have wondered, “How is the financial health of WorldVenture?” Gratefully, our year-to-year worker support income is strong, such that most WorldVenture workers are on pace to receive their full support needs. Furthermore, we have 60-plus appointees seeking prayer and financial support to join the 30-plus appointees who have departed for international work in the past 15 months. While these are challenging decisions with significant ramifications for our WorldVenture family, we remain confident that our sovereign God, who began a good work in WorldVenture, will carry it on to completion. And we are committed to co-laboring with Christ-followers to ensure that every community in the world has opportunities to become disciples of Jesus.